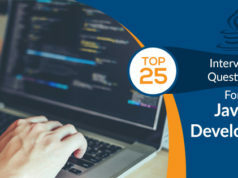 Java is one of the most influencing programming languages and has an elite status in developer communities, there is no surprise that you will hear Java chatter all around the world. There are also people who have done astounding work in the field of Java and made their mark and have owned special recognition. In this blog, we will familiarize you with the top Java influencers who have been renowned over the world for their work. Being one from the list of most popular and widely used programming languages, It was designed with the purpose of working well with the distributed environment of the Internet. Java has become ever-present now from laptops to data centers, mobile phones to the Internet, and game console to supercomputers. Denying the importance of Java in one’s life is equivalent to denying his access to the technological advancement of today’s world. Preparing for Java certification? Check out best-in-industry Java certification online training and practice tests now for your preparation. With all the perks, Java influencers stay at the top of the latest trends and news for some invention or innovation. 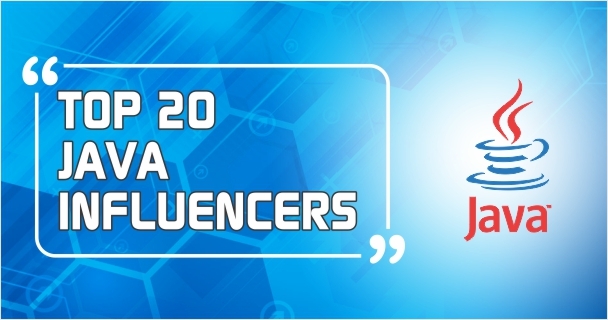 Therefore, we have prepared a list of these Java influencers, not in any particular order. Only those people have made to this list, who has done the quality content of work this year. These people are the Java rockstars, specifically known as the Java influencers and have a strong presence in the social media as well as in the developer community. Bruno Borges is a Brazilian native who has worked in Oracle as a principal product manager of developer engagement from 2012 to 2017. With 18 years of development experience, he established himself as a conference speaker who is now a Java developer advocate at Microsoft. As a developer, he focuses on cloud computing, Java EE, Java FX, and related technologies. Markus Eisele has more than 16 years of experience in Java EE and works as a developer advocate at Lightbend Inc. 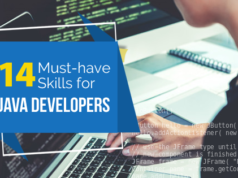 In the world of Java, he is one of the well-known figures and apart from technical skills in Java, he is also known for his expertise in blogging. This java rock star is frequently seen in the conference circuit. You can follow him on social media for his insights in Java and microservices coverage. Currently working as a principal technologist at AWS, Arun Gupta handles Cloud Native Computing Foundation (CNCF) strategy. He is a development champion who has 12+ years of experience in building and leading development teams at Sun, Oracle, Red Hat, and Couchbase. Arun Gupta JavaOne rock star is one of the founding members of Java EE and a leader of Java User Group (JUG) in the Bay area. His collaboration between the engineering teams is well-known. He is also frequently seen on the conference circuit, preferably at Devoxx, where he founded Devoxx4Kids US chapter. Jessica works as a lead engineer at Atomist where her main focus is to automate the software development process and bridge the gap between object-oriented and functional development. She is a well-established blogger and spends much of her time in learning new technologies and new concepts which triggers her mind in finding insights. Custom teachings on-site git workshops and presenting at conferences are her main hobbies. Brain Goetz works in Oracle as an Architect of Java language and libraries. He is also a well-established author and practitioner. His book Java Concurrency in Practice also shows his ability to write technical topics in simpler and engaging way, so it could be understood by everyone. Brain Goetz is also a popular face in the conference circuit and focuses more on the Java performance. Mario Fusco work on Red Hat Drools core developer. He is a well-established writer and Java 8 Lambdas in Action is his latest work. He is a frequent user of the GitHub and known for working in open-source Lambda library and speaking at JavaOne and Devoxx. Josh Long has grown his presence in the Java community over the past two years and it is because of the work he has done in cloud-native Java and Spring Boot. He is also known for his vigorous speaking and demo presenting. Josh Long has worked revitalizing the Java microservices using Spring Boot’s method-over-configuration style. Ready for the Java interview? Go through this series of top Java interview questions and answers, it will help you crack the interview. Mark Reinhold has worked as a principal engineer of Java SE and Open JDK in his primary days in Sun Microsystem. He has gained a lot of experience and expertise from his past working experience and now has become a chief architect for Oracle’s Java platform. If you want to know about the latest upcoming versions of Java, you might need to follow him on social media. Lukas Eder is the distinguished minister who has brought back focus to the Java/SQL development at Data Geekery GmbH. He is the man for Java and SQL and has created an application named jOOQ which provide a simpler way to write SQL in Java. For great technical content and developer humor, you can follow him on the social media. Aleksey Shipilev is a self-proclaimed concurrency bug hunter who currently works in Red Hat where he is responsible for OpenJDK development and performance. Oracle as a Java performance geek. His most of the work is done in OpenJDK, JMH, JOL, and JCStress. He likes to interact with the world leaders of this field. He is also an active participant in expert groups and communities dealing with performance and concurrency. Martin Fowler is an author as well as a speaker on the enterprise software design and development. He works as a Chief Scientist at ThoughtWorks. He is a big fan of the approach of agile development and thus tries to bring some innovation and evolution in the software designs. He is also a well-known blogger. Eberhard Wolff has been working as a developer, consultant, and as a trainer of Java-based applications at Adesso AG Germany. He is one of the founding members of Java champions. He is also a well-known author and first person ever to publish Spring book in German. He also contributes to the conference circuit and writes articles for different journals. Charles Nutter worked his full life as a Java developer and working in Ventera Corp as a senior Java architect. Now he has moved his focus to working on JRuby and JVM together. His work in JRuby will ensure that JVM remains the preferred runtime environment. Venkat Subramaniam is a programmer, award-winning author, and founder of Agile Developer Inc., and currently working as an instructional professor at the University of Houston. He is a well-known author and has published many books and his latest book is Functional Programming in Java: Harnessing the Power of Java 8 Lambda Expressions. He has trained thousands of software developer and a noted figure in the conference circuit. Thinking whether you should go for a Java certification? Clear your doubt with these 8 Reasons to Get Java Certified. Oliver Gierke is the lead engineer of the Spring Data project at Pivotal and has been developing open source applications and enterprise applications for 8 years. He is also a proud member of JPA 2.1 expert group and a well-known speaker in the international conference circuit. Guillaume Laforge works on Google Cloud Platform as a developer advocate. He was the Java Champion in 2017 and one of the founding members of the French Java/OSS/IT podcast LesCastCodeurs. He is one of the frequent faces in the conference circuit Devoxx, Groovy Grails, and many others. James Governor co-founded RedMonk in 2002, the first industry analyst firm in London and before RedMonk he worked in Illuminata Inc., for 3 years. James has well grasp of both open source and social media tools in RedMonk’s business operations. He is a well-known face in the conference circuit. Quentin Adam is currently the CEO of Clever Cloud and it works on the PaaS model which allows its users to run Java, Ruby, Node.js, Python, and PHP or go applications. Quentin Adam focuses on providing developers a quick and good way to deliver applications. He is also a regular speaker in a difference conference circuit. Liz Keogh is a Lean and Agile consultant and a proud member of the BDD community. She has contributed to a different number of open source projects like JBehave. She has technical expertise and working experience of over 15 years. She is a well-established blogger and well-known speaker in the international conference circuit. Joshua Bloch is an American software engineer and a technology author, formerly employed at Sun Microsystems and Google. He led the design and implementation of various Java feature such as Java Collections Framework, Assert Mechanism, and Java Math package. He is a well-known author and has published several books in Java. He is a well-noted figure in the conference circuit. New in the Java domain? Learn, get certified, demonstrate your expertise. Here is the OCAJP exam preparation guide that will help you become an Oracle certified. These are the most famous Java influencers of the year who are in highlights for the noteworthy contribution in the domain. 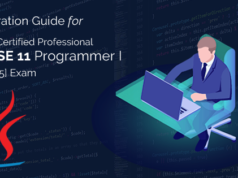 If you are a Java professional or aspired fresher to make a career in Java, you can decide to follow one or more Java influencers if you want to become successful in the Java domain. Following a Java influencer will enable you to connect with them, get the updates of their work, and you will get all your Java-related queries resolved. Whizlabs, pioneering the online certification training industry, aims to rack your Java career. For this, we help you in your certification exam preparation with our Java certifications training. We also offer practice exams for the Oracle Java certifications so that you could be confident to beat the real exam. What else you want? Start your preparation today and get ahead for the bright future as a Java professional. Have any questions/concerns? Reach our experts at Whizlabs Helpdesk for the resolution. Joshua Bloch working at Sun Microsystems? Yes the data was wrong. Bloch is currently a faculty member of the Institute for Software Research at Carnegie Mellon University, where he holds the title “Professor of the Practice”.